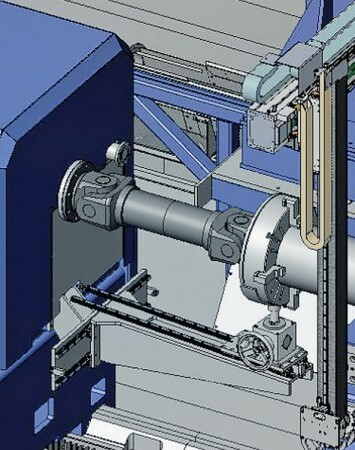 The headstock under base part can be adjusted in longitudinal direction by motorized under bases, in order to adapt to various roll length. The upper part of the headstock drive can be adjusted by manually operated spindles, for easy alignment of the roll parallel to the machine bed. 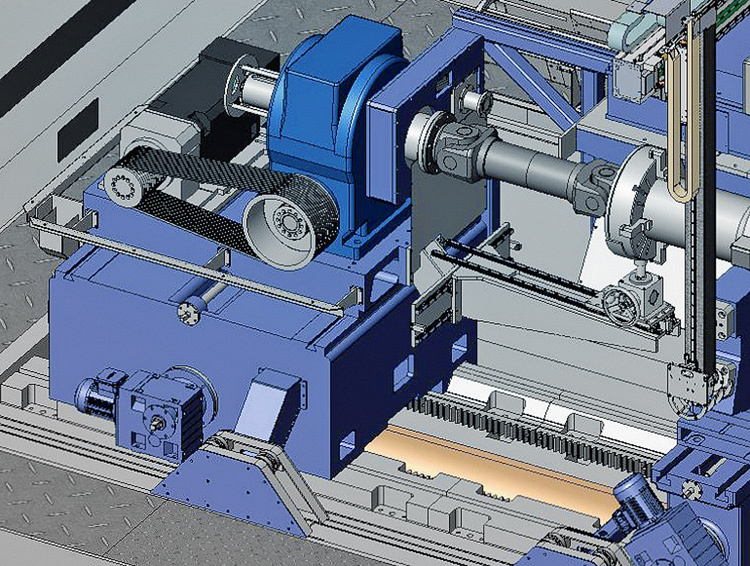 The cardan shaft is supported by an adjustable holder in order to allow easy mounting on the roll shafts.